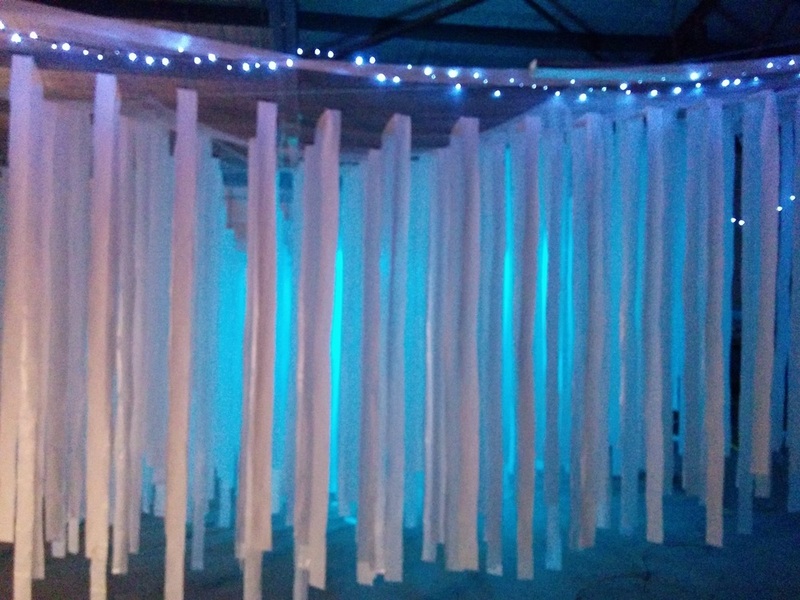 Photos from the completed 'White Forest' light installation for Burning Seed Australia 2015. The 'White Forest' itself was made from white strips hung from a large netting approx. 8m x 8m. 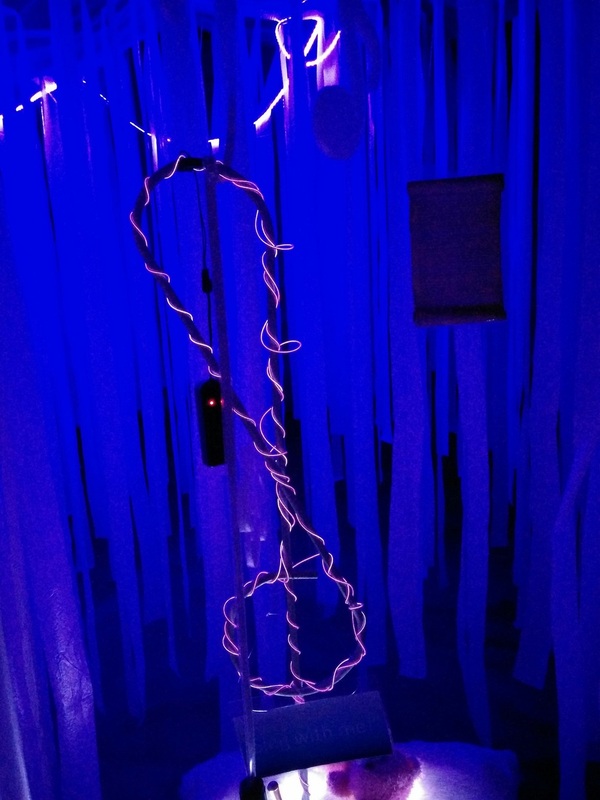 Inside the White Forest were 5 light stations: Earth, Fire, Air (Bear), Water, and Heart. These 5 base elements were woven together by the story of the Purple Turtle who had travelled across the world looking for the basic foundations of life. Each light station had a story of the Purple Turtle discovering that light station's particular element, and also had an interactive light that represented the element. The lights from Earth, Fire, Air and Water were all connected into the central Heart. Part of the White Forest art installation for Burning Seed 2015. The Earth light station features a tree that when touched activates LED lights to pulse into the central Heart light station. 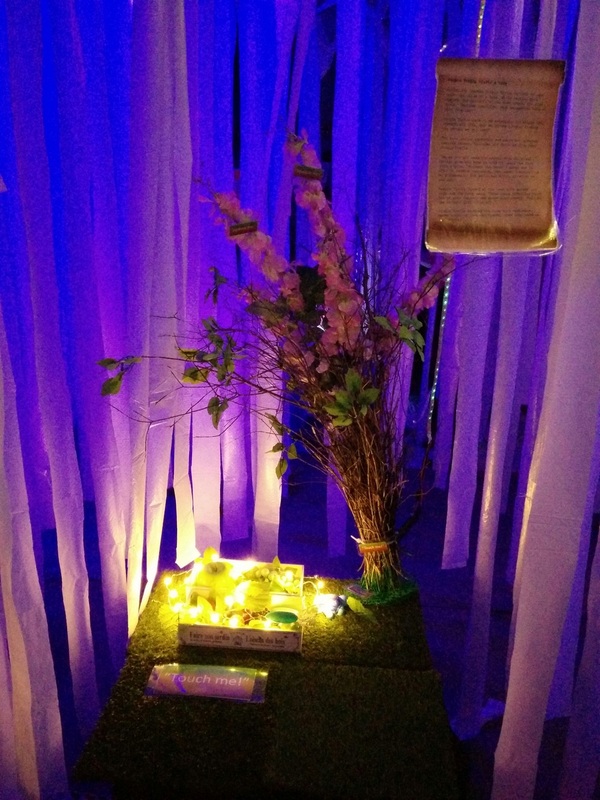 Part of the White Forest art installation for Burning Seed 2015. The Fire light station features a "fire" that activates LED lights to pulse into the central Heart light station. 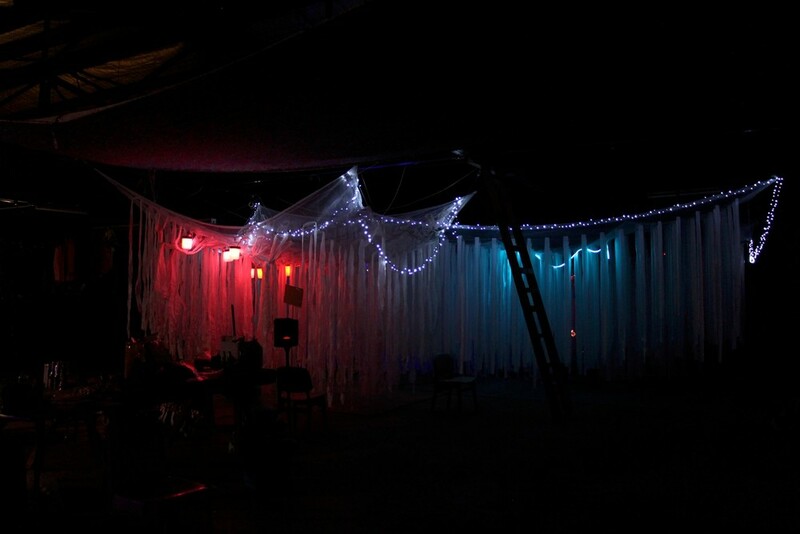 Part of the White Forest art installation for Burning Seed 2015. The Air light station features a microphone that activates LED lights to pulse into the central Heart light station. Part of the White Forest art installation for Burning Seed 2015. The Water light station features a box of Turtle Food that when shaken and/or rotated activates different coloured LED lights to pulse into the central Heart light station. 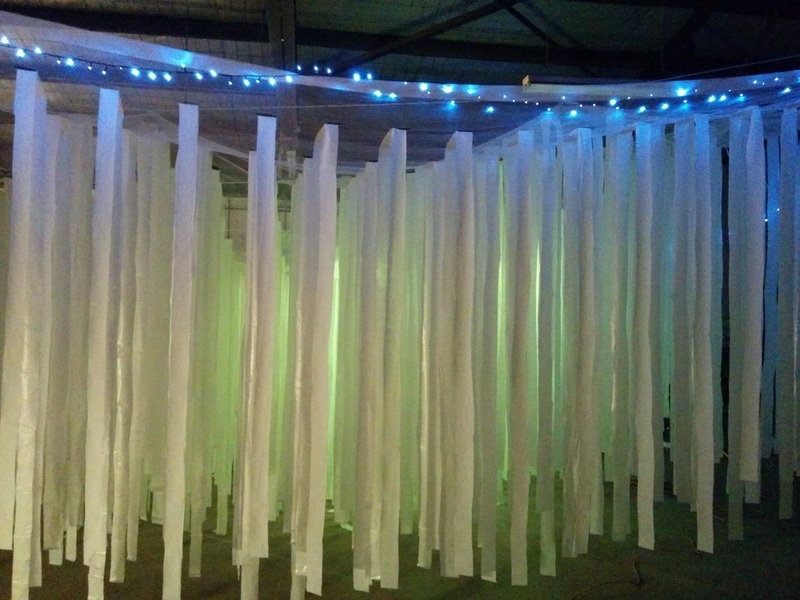 Part of the White Forest art installation for Burning Seed 2015. The Heart light station connects represents the central place where the lights representing Earth, Fire, Air and Water meet. More photos of the White Forest and its light stations are below... enjoy!